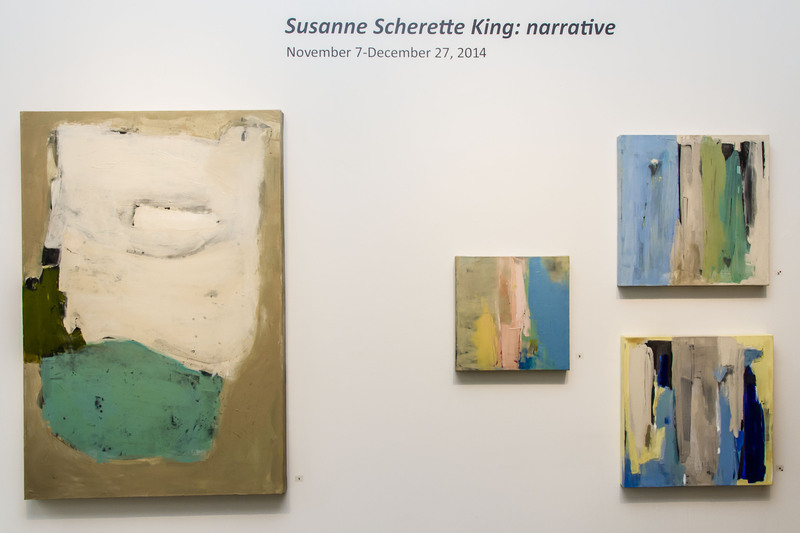 I decided to visit Susanne Scherette King after seeing her solo show at the Dayton Visual Arts Center. I asked Susanne why the title of the show was “narrative.” She explained that the paintings are a portion of a story – a beginning, middle or end. That is why she gives them titles like “the street was empty until he turned the corner.” Before her successful painting career Susanne taught writing in the Oakwood school system. 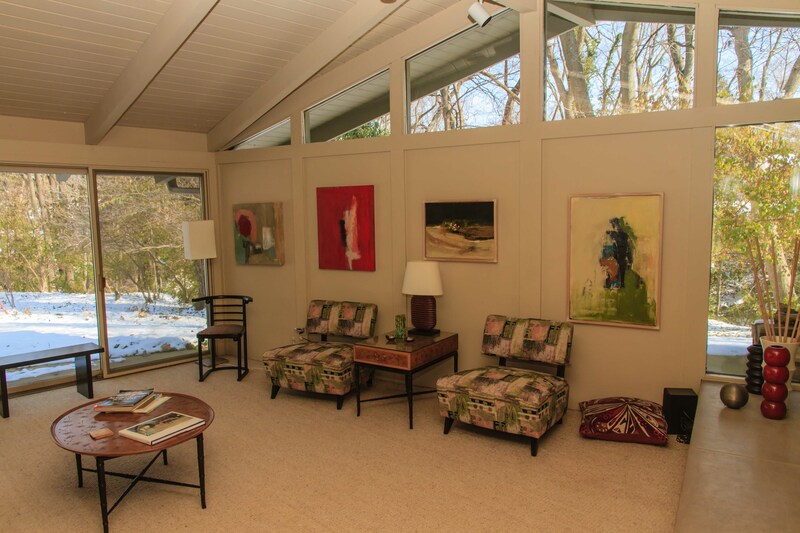 Susanne began painting 10 years ago when she moved into her Kettering home. The house needed art and she decided to produce it herself. 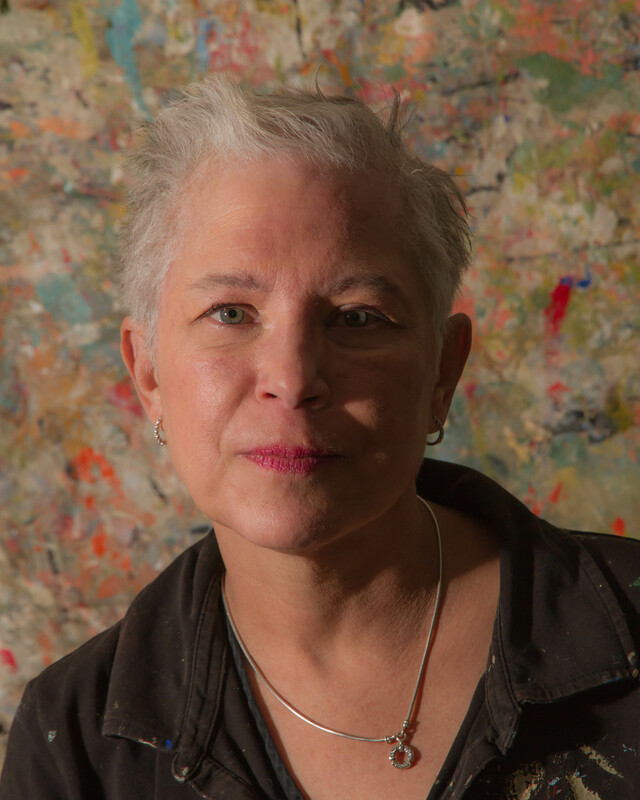 At first she tried to duplicate works from such artists as Kline and deKooning. Then she moved on to making her own creations. 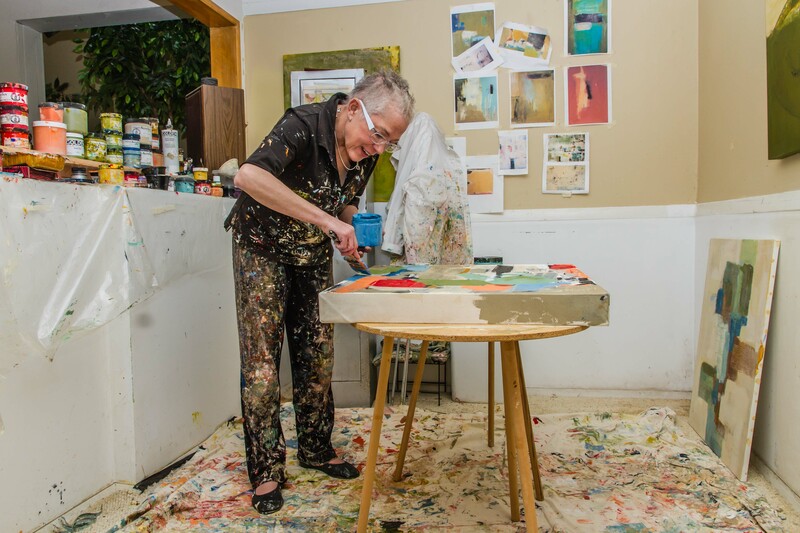 Susanne might have stopped painting when all of her walls were filled if it wasn’t for the Dayton Visual Arts Center. She showed her work to some experienced artists in the DVAC community. 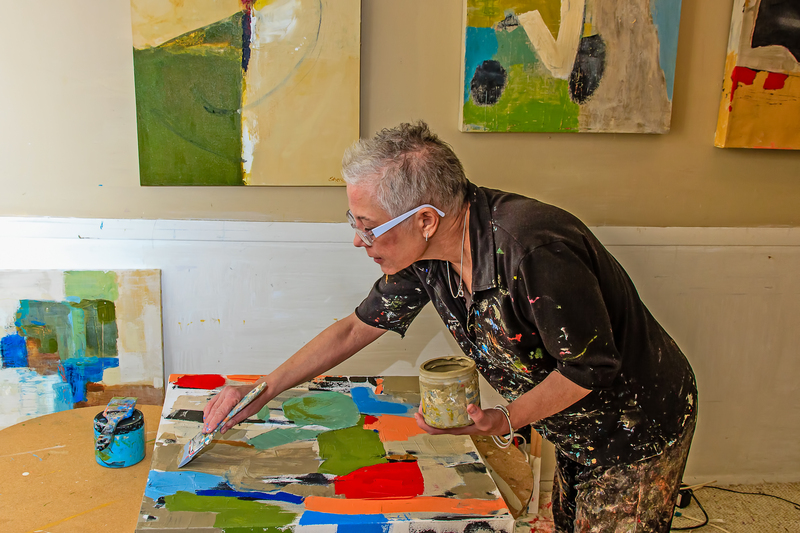 Their encouragement and gentle criticisms kept her painting, and improving, and eventually getting shows of her work at many galleries around Ohio, Michigan and Pennsylvania. 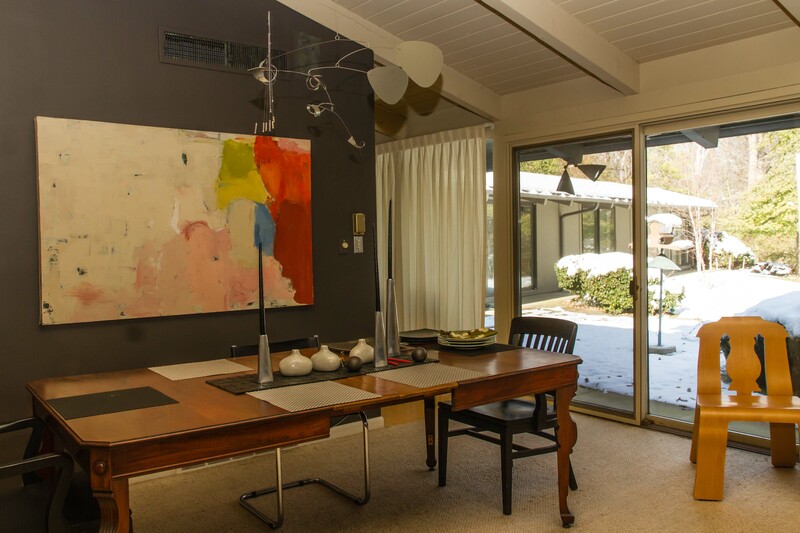 Susanne’s dining room includes one of her paintings along with a mobile by Dayton artist Terry Welker. 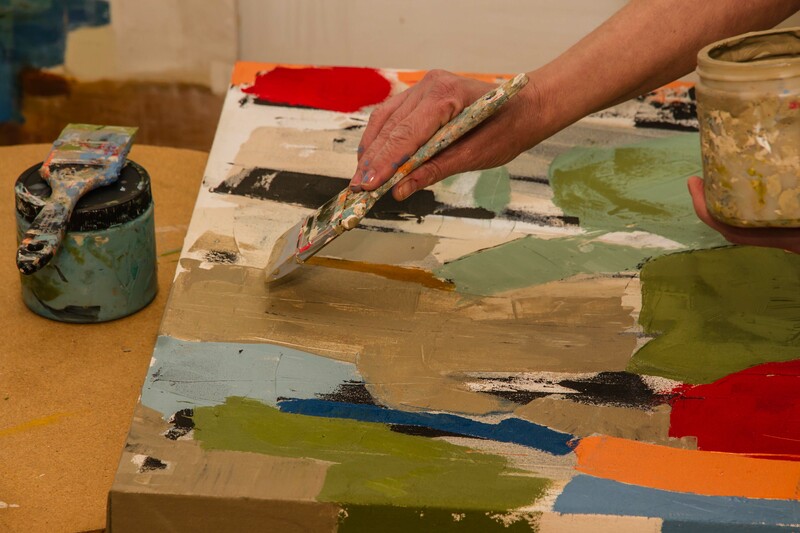 Susanne paints on a level surface – never on an easel. The largest paintings are painted on the floor but most of her work is done on a table. She uses acrylic paint, typically applied with a glaze scraper. 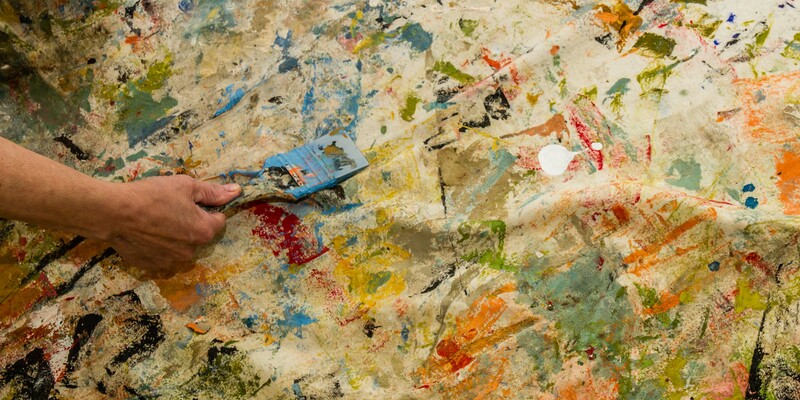 When Susanne was done using one color, she wiped her scraper off on the drop cloth beneath her work table. I remarked at the wonderful colors on her drop cloth, and suggested it would make a great background for a portrait. 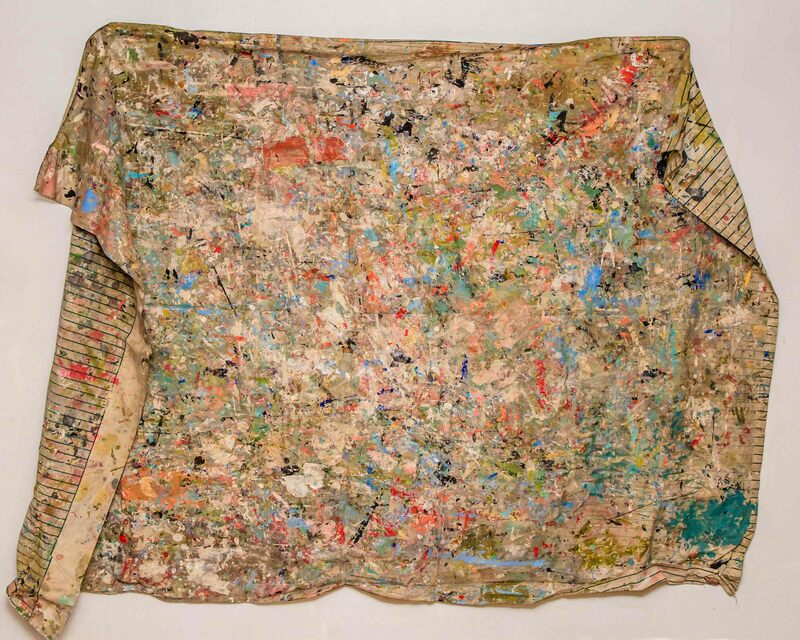 Susanne then showed me an older drop cloth that was even more colorful. We nailed that to an empty wall near her studio. The drop cloth did make a great photo background. I wish I could have taken it with me. Susanne decided she would leave it nailed to the wall, at least for a while.